De Britse acteur Rusty Goffe speelde maar liefst drie rollen in de allereerste Star Wars film uit 1977. Hij was op Tatooine te zien als Jawa, GONK en de aan juri-juice verslaafde Chadra-Fan genaamd Kabe! Onlangs was Rusty in Nederland aanwezig bij een speciale Harry Potter-dag (een andere franchise waarin hij te zien was) in de Lemistore te Almere. Na afloop sprak Dennis hem over zijn Star Wars ervaringen! How did you get cast for the first Star Wars movie? Way back in the 70’s there weren’t many dwarf actors. You had Kenny Baker who played R2-D2 and his partner Jack Purvis who was the chief Jawa and there was me! They tried me out for R2-D2 in case Kenny couldn’t cope inside the droid. Luckily he was alright so they cast me as a Jawa and it followed on from there. One day I went into the studio and the special effects guy said “bend over and touch your toes”, which I did and they put some suit over me. They called George Lucas and said “George, how is this for a character?” George said “I love it, and we will call that a GONK”. So, that’s how the GONK droid happened. The third character I played was Kabe in the Mos Eisley cantina. She was originally played by an elderly lady called Gilda. The costume was absolutely horrendous like every other costume was and she collapsed and fainted. She couldn’t continue so George Lucas said “Rusty, get in the dress”. That was it! I played three characters! You mentioned the GONK. The most famous scene of him is in the sandcrawler making the legendary GONK noise. That’s you! Yeah, that’s me! And then you’ll see a Jawa, that’s Jack Purvis. Right after that you see the GONK again with a Jawa, but this time Jack is the GONK and I am the Jawa, we switched roles and it was hysterical. Were you in Tunisia to film Jawa scenes? No, I was only filming at the Elstree Studios. So, all your Jawa scenes are the interior shots. Yes, and also in the cantina when Luke comes down the stairs with Obi-Wan you see a Jawa rushing around them that is me as well! What was the funniest thing that happened on the set? What do you regard as the best memory you have of your time working on Star Wars? No one knew what we were doing. It was fantastic to film everything and I would do it all over again if I could go back. George Lucas and Gary Kurtz were like two young college guys making a movie with all these lovely actors. We didn’t know how big it was going to be. It went from a cheap budget film to 48 billion dollars later! When did you see Star Wars for the first time? That was two months after it opened. I sat in the cinema and loved it when those spaceships came from behind us. I was “wow, this is it”. The clever bit was, which I didn’t realize then, the way John Williams wrote the Star Wars theme. The first note of the Star Wars theme is the same as the last note of the 20th Century Fox theme. (Starts humming the Fox theme) So, the brain didn’t have to think. It flows if you know what I mean. Now that’s some cool trivia. Everyone at the cinema was happy. It had spaceships, swashbuckling pirates, swordfights. It’s what the world needed. Well done George Lucas. You didn’t return in The Empire Strikes Back. How come? Because I was doing other movies at the time like History of the World Part I with Mel Brooks, a movie I wanted to do. It was fantastic with those guys. I can proudly say I was in the first Star Wars, the baby of the franchise. One of your characters, Kabe, got her name and backstory in the late 80’s and mid 90’s. Have you ever read her short story in the anthology book Tales of the Mos Eisley cantina? No, I haven’t. I wasn’t aware of that. Well, I can absolutely recommend it as it’s a great story. I will definitely look for that! As I said that costume was so hot. You couldn’t breathe in it and it was so claustrophobic. It wasn’t something for every person. Still, it was an unbelievable time. You were in your twenties back then right? (Laughs). That’s a great way to end this interview. Thanks! Met dank aan Casper en Lemistore voor het mogelijk maken van dit interview! Geboren toen de opnames van A New Hope van start gingen. George Lucas cultist en aanhanger van Legends (1976-2012). Voormalig assistent van Anthony Daniels. Vader van 2 Padawans. Auteur van de 'Star Wars Interviews' boekenreeks waarvoor hij 175+ cast en crewleden interviewde. Staat in de credits van de boeken The Making of Return of the Jedi, Stormtroopers: Beyond the Armor, The Star Wars Historical Sourcebook, The Star Wars Archives en Star Wars Icons: Han Solo. Het is alweer 22 jaar geleden dat The New Rebellion, een Star Wars boek van de Amerikaanse schrijfster Kristine Kathryn Rusch, verscheen. Gedurende haar lange carrière schreef ze ook voor franchises als Star Trek en Alien én won ze een HUGO Award. 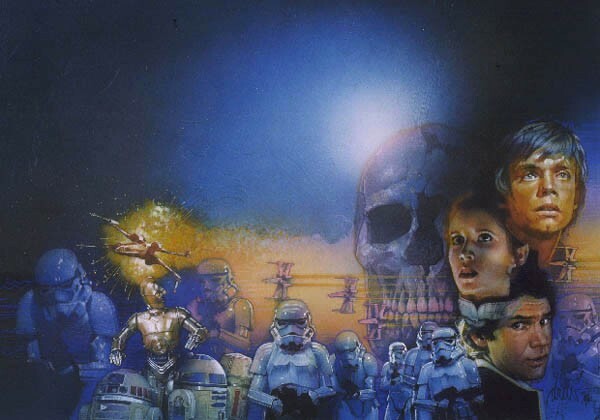 When and where was your first encounter with Star Wars? And what did you think of it? I saw Star Wars: A New Hope the night it premiered. I was in high school, and a group of us went to the movies, with no idea what we were going to see. I was hooked from that moment forward. What was your inspiration while writing The New Rebellion, and what directions did you get from Lucasfilm? How did you come up with the story for The New Rebellion? I wasn’t all that fond of the way that the previous books had gone. I hated what the male writers had done to Leia (making her a wife and mommy instead of the strong woman that she was), and so I just went back to the first three films, which I really, really loved. I worked as well as I could within the framework of the previous novels, ignoring as much of them as possible, and restoring as much of what I loved about Star Wars as possible. Lucasfilm was very supportive. They gave me pages of detailed notes when I was done, but those were mostly terminology nits, not actual changes. Which existing Star Wars character you enjoyed the most writing about? Han Solo. He is, by far, my favorite. Han? The ultimate bad boy with a heart of gold? The true hero of the piece? The one who actually rescues people? Has a sense of humor? Fights despite his cynicism, even though he has no dog in the hunt? That Han? Yep. That’s why I like him. Which Star Wars character created by you is your favorite? I never have a favorite among characters I create. Although you did get to write a Star Wars trivia book, The New Rebellion was unfortunately your only Star Wars novel. What was the reason for this? The Science Fiction Writers of America -which I did not belong to- went to war with Lucasfilm over royalties. I strongly disagreed with SFWA and told them so. I was working hand-in-glove with Lucasfilm on a bible for the books…when SFWA sent Lucasfilm a cease-and-desist letter over their royalties and- without my permission -signed my name to it. They signed a number of Star Wars writers’ names to the petition, without permission. Lucasfilm did not believe me when I told them I wasn’t involved (I don’t blame them). I really should have sued SFWA. They cost me over $100,000 with that action. And they cost me the chance to work in a series I loved. You just referred to a ‘bible for the books’ you were working on. What kind of book was that? Something like 2012’s Essential Readers Companion; a book with descriptions of every Star Wars story? In TV, in particular, and in film sometimes, the people who produce the show develop a “bible” which allows anyone who writes to know what’s going to happen next. Kevin J. Anderson and I were putting together a large bible for the series of books along with Lucasfilm to determine what direction the books would take over the next several years. It’s more complicated than what you’ve described, and would have taken us a great deal of work by the time we finished. We had just held the preliminary meetings when SFWA nuked everything. In 2014, Disney declared the Expanded Universe was no longer canon. It became ‘Legends’. What do you think of this, seeing all of your work suddenly become non-canon? It doesn’t bother me at all. I did work-for-hire, so the owners of the property can do whatever they want with it. I knew that when I signed on. You have written books for other Sci-Fi franchises like Alien, Quantum Leap and Star Trek. In which ways was writing for these franchises different? And what is it –according to you- that makes Star Wars so unique? The smaller franchises (Alien, Quantum Leap) really didn’t get involved in the books. We could have written anything, and no one would have cared. Star Trek and Paramount are very involved, and the same with Lucasfilm back in the day. I prefer that. I liked being part of the organization. 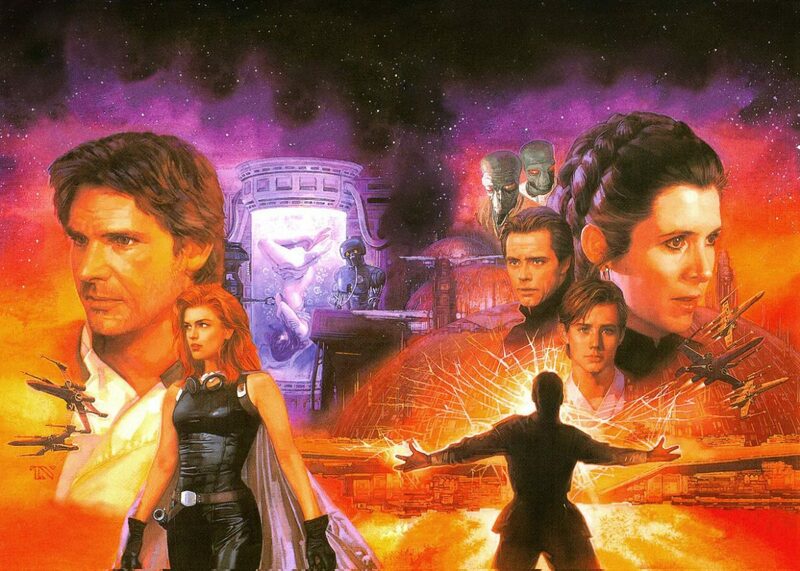 Final question: How do you look back at your Star Wars work? I think I was lucky to have the chance to play in that universe. My 16-year-old self would be very proud. Medio jaren 90 was het de Amerikaanse auteur Daniel Keys Moran die Boba Fett ‘nieuw leven gaf’. Voor de korte verhalen bundels Tales from the Bounty Hunters en Tales from Jabba’s Palace schreef hij hoe Fett aan de Sarlacc ontsnapte en zijn loopbaan als premiejager vervolgde terwijl hij ook met een verhaal aan Tales from the Mos Eisley Cantina bij heeft gedragen. Daar het gonst van de geruchten over een Boba Fett film was het dus hoog tijd om hem te interviewen voor deze site! I’d like to start at the very beginning: what got you into writing and how did your career take off? Sent my first story off to a magazine at 13, “A Day in the Life of a Telephone Pole.” Wrote my first real novel at 15, an alien invasion western novel. Finally sold a story to Isaac Asimov’s Science Fiction Magazine, at 18. Few years after that sold my first novel to Amy Stout at Bantam Doubleday, we’re now married and have five children together. My high school debate team won a pretty big debate and as a reward we were offered the chance to do several different things one of them was going to see this obscure movie called Star Wars at the Chinese Theater on opening day. I don’t think we were at the first showing I vaguely recall getting back to the school pretty late in the day but maybe the second or third showing. Pretty good chance David Gerrold (the writer of “Star Trek: The Trouble with Tribbles,” Chtorr, “The Man Who Folded Himself”) who later got to be a great friend, was in the theater with me when we watched it. He was also there for an early showing, that first day. I was blown away. It was the first SF movie that managed onscreen the sorts of things I saw in my head when I read Edgar Rice Burroughs. You wrote two short stories about Fett (called A Barve Like That and The Last One Standing), creating a lot of background for the character, who was especially back then a huge fan favorite. How did you approach this massive task? It wasn’t a massive task. It was a short story and a novella, and while I put a lot of skull sweat into them, most of what I’ve ever written’s been a heavier lift. They were fun to write, aside from dealing with Lucasfilm. I put a pseudonym on “A Barve Like That” because I was cranky with Lucasfilm; they were mad about that. So it was a surprise to me when they had me write “The Last One Standing” I was pretty blunt by that point, having done two stories already and scratched the itch to work professionally on Star Wars. Wrote them an outline, told them they could have it or not have it but I was writing what was in the outline, and they said yes. So that was a surprise. Then they tried to excise what was probably my favorite scene in that story; Kevin J. Anderson stopped them, and I’m grateful for that. It was published as written, minus a few word changes here or there. It’s one of my favorite stories. It came from Harrison Ford’s desire to see Han Solo die in Return of the Jedi “he’s got no Mama, he’s got no Papa, he’s got no story.” So I took that and ran with it. I did the first “Old Han” story as well as the first real Boba Fett story, taking them into the future and dealing with the loss of their youth. You also wrote the tale of Kardue’sai’Malloc, the devaronian seen in the Cantina. What was your inspiration to write his story? That was a pure “I want to write Star Wars” thing. Kathy Tyers had written an excellent story about the Modal Nodes, the band that plays during the Cantina scene I wrote a story that surrounded hers, about Kardue/Labria, who always seemed to me to be having an awfully great time in the bar that day. Turned him into a music collector who worshipped the Modal Nodes, and had a fun story about how he arranged to have them playing at the bar that day. One of your Boba Fett stories and the Devaronian’s tale were heavily edited. In fact, the Fett story was published under your pseudonym JD Montgomery. What was exactly edited, and what was the reason? Devaronian’s Tale wasn’t edited that much. Mostly they wouldn’t let me swear, or mention whores. I wasn’t thrilled with the changes, but they were minor. I don’t know what happened with “A Barve Like That.” I agreed to do it, then they told me I couldn’t really write my outline, where Fett spent years down in the Sarlacc; he could only be down there for a day or two. So I wrote that story. Then they told me the Sarlacc couldn’t be intelligent, which was the actual center of the weakened story, so I took all the Sarlacc’s contribution to the story and gave it to one of Fett’s fellow prisoners “Susejo,” or O Jesus backwards. I’ve had people write me telling me they loved that story, and OK, but man, it was only a shadow of what it should have been. In its final form Fett falls into the Sarlacc, argues with a fellow prisoner, and climbs back out again. Eh. How did you react to the news your stories were edited and why did you choose to have one being published under a pseudonym? I behaved with forthright and reasonable bluntness. Later on I met one of the ladies who worked at Lucasfilm, and upon hearing my name, she took two steps backwards. So maybe my perception isn’t the whole of the story. I always thought that back in the 90’s Lucasfilm didn’t want authors to write about the pre-A New Hope era because they were making the prequel trilogy. However, they let you write about Boba Fett in his younger days. Do you know why they approved that? A couple of years after your Fett stories the movie Attack of the Clones showed the origins of Fett, contradicting your stories. How did you feel about this and which version do you prefer? I prefer mine, of course. But it didn’t particularly annoy me. I don’t care much about canon, and my stories are still out there for anyone who wants to read them. And frankly, even within the universe of commercial fiction, Lucas was utterly contemptuous of his own early writing, when it came time to make the prequels. The idea that I should get annoyed about him ignoring mine? No. In your stories Fett’s real name was Jaster Mereel, something which was later retconned and Jaster became another Mandalorian. Did you know about these retcons and do you like them? I haven’t followed along with anything except the televised & movie material. Shout out to Star Wars Rebels, there that was a fine piece of work. Watched it with my youngest boy, start to finish. There are rumors about a Fett spinoff. Any advice for Lucasfilm? You’re the expert! I’ve had a guy at Disney email me a couple times over the years regarding Lucasfilm adapting “Last One Standing” into a Fett movie. Not asking permission, they own those works, just letting me know they were thinking about it. So that was kind. But after Solo stiffed, apparently there’s some question about the Fett movie being made. As to advice for Disney? I thought The Last Jedi was brilliant, the first Star Wars movie since The Empire Strikes Back I thought was a complete success on its own terms. Then I thought Solo was perfectly adequate and inoffensive, and as much as I love Star Wars, that’s a little sad. So for advice? Get the creative team behind The Last Jedi on your Fett movie, rather than the team behind Solo. In de herfst van 2017 kreeg ik een bericht uit Engeland: Rick Stanley, een Amerikaanse Star Wars vriend van me die daar woont wist te melden dat het hem gelukt was: hij was gecast voor de rol van Cutthroat Hunter in Solo: A Star Wars Story. Ik ken Rick al jaren, hij heeft me als oprichter van Sci-Fi Signers vaak geholpen en nog voordat ik het kon vragen gaf hij aan graag zijn verhaal te willen vertellen. In onderstaand interview doet hij zijn Star Wars verhaal uit de doeken: van trouwen met een Britse actrice uit The Empire Strikes Back tot een site voor Star Wars acteurs opzetten tot zelf gecast worden voor Solo! I’ve known you for many years and you’ve helped me with a lot of interviews so this is weird and fantastic at the same time! You’re in a Star Wars movie! How does that feel? It’s been a real pleasure Dennis knowing you all this time and it’s been an honor helping you out! You have done an excellent job with Star Wars Interviews over the years with all the many fascinating interviews you have conducted! It is strange because I never thought I would work on a Star Wars film and have the great honor of being interviewed by you! To say I was over the moon and floating on air when I found out that I was booked for one is a vast understatement! It’s unbelievable how hard it is to get on anything with the Star Wars name and I consider myself very, very fortunate! When and where did you see a Star Wars movie for the first time and did you become a fan right at that moment? Well that’s kind of a long story. I was almost 20 years old when A New Hope came out and actually didn’t see it until it was broadcast on HBO. In 1977 being the age that I was all I could think about were all the B science fiction films that were in abundance as I was growing up! I know it sounds sacrileges to say but I even thought the name ‘Star Wars‘ when I first heard of it sounded cheesy! All I could think of was pie plates on fishing lines. Even all the hype and hoopla didn’t influence me and there was plenty of it at that time! I’m from Orlando, Florida and what turned me around was in 1980 I went to work temporarily down in West Palm Beach for a company that an uncle of mine was vice president of. I only worked the week days and the company would offer to fly me back home or reimburse me for my petrol if I wanted to drive. Well one weekend I didn’t want to spend the time going back home so I just hung out and saw that The Empire Strikes Back was playing at the theatres. I went to see it to find out what all the fuss was about and was completely wowed by it and have been an avid fan ever since! I to this day still regret not seeing A New Hope when it was fresh in the theatres! Your wife (Stephanie English) was in The Empire Strikes Back 38 years ago. What took you so long to get cast for a Star Wars movie? Seriously: how did you manage it? Yes, it’s hard to believe that I saw my future wife Stephanie English in that movie theatre so many years ago in West Palm Beach! She portrayed a Hoth Rebel Technician at Echo Base. She has been working in the film business for 42 years. We just celebrated our 7th wedding anniversary actually on the other Star Wars day May 25th. We didn’t plan to have it on that day which was amazing it happened that way! Stephanie got me into film work shortly after we got married and I moved to London. The way it happened is Stephanie got an email from one of her agencies that she is with asking if she knew anybody who had an American vehicle. She responded saying her husband ‘me’ had a pickup truck. I brought my Ford Ranger pickup truck with me when I moved to London. I ended driving it in the Ridley Scott film The Counselor and that was my first film work gig. Since then I have worked on quite a few productions, mainly background but some featured and the one that I’m really proud of is a National Geographic movie documentary called The Jesus Mysteries where I played a main cast part as the apostle James the Elder alongside Nick Simmons who portrayed Jesus. Nick is the son of the founder and bass guitarist of the rock group KISS Gene Simmons. With getting on a Star Wars film or any film for that matter it’s really luck of the draw but I think it’s even harder because of the popularity of Star Wars and the same with films like the Harry Potter prequels. It’s mainly about your looks and what they are looking for to fill a role at the time. I was put up for Rogue One which I would have loved to have got on but to no avail! Now with Solo I was put up for it 4 times and the fourth time was the charm! I was very happy when I heard that I was going to be included into that “hive of scum and villainy”! You run a great website called Sci-Fi Signers United where convention organizers can book actors from Star Wars and many other franchises. For the people who don’t know this site: what was the reason you started it? Thank you for those kind words! Well actually a mutual acquaintance of mine and my wife started what was called the Sci-Fi Convention Signers Co-Operative and I helped run it with him until he decided to disband it. After that I started the Sci-Fi Signers United from scratch and kept the same spirit there! It’s a site where organizers can contact the actors and film professionals directly for shows and autographs without having to go through an agent. I don’t make any money from it. I offer it as a free service for the signers to help them out. A lot of them that are on it are mutual friends that Stephanie has worked with over the years and some of the new ones are friends I have worked with on other productions. Since you’re Star Wars character now I was wondering if you’re about to enter the signing/convention circuit yourself now? No, it just wouldn’t be my cup of tea to do it. I really enjoyed going around the country with Stephanie when she was signing at shows but she is retired from doing them now and it wouldn’t interest me at all to do it myself. I will consign it to good memories of fun times! We both want to concentrate on the film work and I’m content just keeping the Sci-Fi Signers United running! Back to Solo: please tell everything about the character you played and in which scenes you were in. To start off when I went for my fitting I asked what my character was called and was supposed to be and the wardrobe guy said I was playing a reprobate a ‘cutthroat hunter’. I said well that sounds pretty cool! I was wearing a dark beret, a blueish grey long sleeved shirt, a dark suede coat that came down below my knees and it was left open with a wide belt wrapped around it with a large rectangle silver belt buckle and I had a leather ammo pouch attached to the belt. My trousers were baggy and black almost like cossack trousers. I also wore tall brown boots with greyish colored boot guards wrapped around them. To top it off I had an orange neck scarf that the wardrobe lady would make a point tying it in a French knot. She called me her little Frenchman every time I would go to change in to costume! From the day I got fitted to my last day on it I got French resistance comments and even one of the costume designers was amused by it when we were lined up my first day on set for a costume check! I also got a lot of Che Guevera comments because I guess I kind of looked like him with the beard and beret. I had a prosthetic scar on the left side of my face. It was a really cool getup! I was there for the Sabacc table scenes, the droid arena scenes and several bar area scenes! It was a really big and amazing set and spent I would say about 80% of my time on set. Some films you can spend hours in the green room or holding area before you are called to set but that wasn’t my experience on this one. I felt lucky when I was able to get outside to have a cigarette break I was on it a week and did 12/13 hour days each day. I was exhausted but man it was worth it! Also one of the days I was there they took me to a different part of the studio and did a 3-D scan on me in costume and also I did an action photo shoot doing various poses. You were on the set with most of the main actors like Alden Ehrenreich and Donald Glover. How were all those stars on the set and behind the scenes? All of them were absolutely awesome and what an honor it was for me to be amongst them with the many others who were there with me also! Man I’m still pinching myself to make sure it wasn’t all a dream! They all nailed their parts brilliantly and it was an honor to be able to witness that first hand and be a part of it all! Could you share some good anecdotes regarding your time working on Solo? The more the better of course! Well let’s see… there was one time when we were waiting for them to set up another shot on a different part of the set I decided to rest my weary legs after standing up most of the day and took a seat on Han’s sabacc table stool except I was sitting backwards to the table with both my elbows propped on the table with my legs stretched out and crossed in front of me. The only others that were sitting in that part of the room with me at the time were Therm Scissorpunch and his alien buddies! Another time I was waiting again for them to set up a shot and I was sitting on the stairs facing the bar area and the girl taking care of Joonas Suotamo stood directly in front me and had his Chewbacca mask in her hands but she was holding it behind her talking to somebody in front of her. She backed up a little too close to me and it started brushing me in the face so I had to move and find a different spot! My wife Stephanie dropped me off at Pinewood Studios each day in the morning and picked me up when we wrapped for the day and I would always sit at a bench next to the security office waiting for her to roll up in the car. The second day I was really tired because I hadn’t had much sleep the night before and also the night before that. I just wanted to get home, take a shower, get something to eat, go to bed and start it all over the next day! I completely forgot to have hair and makeup remove my scar after I derigged. When I sat down on the bench waiting for Stephanie a young woman was sitting on the bench also. After a while she looked at me and asked me if I was a stunt man. I said no why? Then she said how did you get that scar? At that moment I realized that I forgot to have it removed. I told her I was working on a film and it wasn’t real. She then asked me what film I was working on and I told her I couldn’t say! I thought that was pretty funny! You joined Solo after Phil Lord and Chris Miller were replaced by Ron Howard, a real veteran director. How was he to work with and how does he distinguish himself from other directors? Wow!!! What an honor it was to be directed by the legend who is Ron Howard! I would call him a director’s director! It was a pleasure to see him work and do his magic! He is a very hands-on director and knows exactly what he wants! He is also the first Oscar winning director to direct a Star Wars film! I grew up watching him on the Andy Griffith show and when I was a teenager watching him on Happy Days and the George Lucas masterpiece film which is American Graffiti! What are the chances we will see a Rick Stanley action figure in the future? Hahaha!!! Well they do have the scans and photos so they have the tools to make it possible! A person can only hope!!! I read that in the summer of 1977 you were such a big Star Wars fans that for two weeks, every day you took a friend to see the movie. What was it that you liked so much about Star Wars? The story was uplifting. The music was fabulous. The visuals were amazing, especially for the era. Most of all, I loved watching their faces when the Millennium Falcon went into hyperspace. That was an amazing visual effect in 1977! You once said that after you heard you got to write your first Star Wars novel your handprints were on the ceiling. Are they still there? You certainly did do your homework! I don’t live in that duplex anymore, so I have no idea. But it would be fun to go back and see. Your best known Star Wars book is of course The Truce at Bakura, which takes places almost directly after Return of the Jedi. What was your inspiration while writing this book, and what directions did you get from Lucasfilm? When I got the call from my editor at Bantam Books, Janna Silverstein (shout out to Janna! ), she asked for 4-5 story ideas to pitch at a conference call four days later. The idea that wouldn’t let me go was that somewhere in the Galaxy Far, Far Away, our heroes would end up fighting alongside Imperial troops for just a little while. What, I wondered, could make that happen? And once the threat was neutralized, would they turn on each other… or would each side emerge with a little more respect for the other side? My directions were to include as many main characters as possible, to set the story immediately after Return of the Jedi, and to make sure nothing in my novel contradicted anything that was shown to take place roughly five years later, in the books that Tim Zahn had already contributed to the series. Fortunately, the Powers That Be liked my favorite idea. I was asked to develop a longer outline for the book, and since I write from an outline anyway, that was a familiar pleasure. I felt that I already knew the characters well, and it wasn’t hard to imagine what they might do next. The good people Lucasfilm offered a few tweaks to the outline and turned me loose to write the book! They also had to give it a final OK, of course. 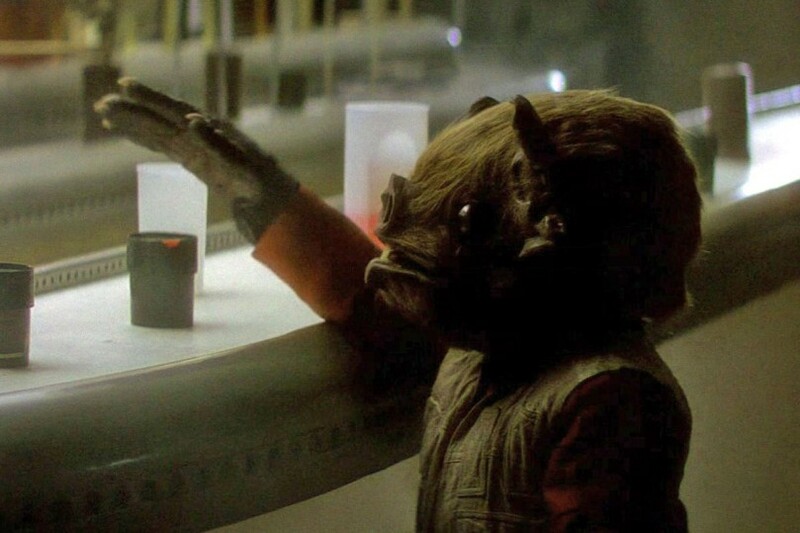 For the three ‘Tales of’ anthology books you wrote the stories about the Cantina band, Oola and Bossk. Did you get to choose the characters? And what made you pick exactly these characters? I begged to be able to write about the Cantina band, since I am also a musician and played wedding gigs for years. It was a chance to get a little snarky about how difficult this can be! Kevin J. Anderson, who coordinated the anthologies, also let me choose Oola – again, because I have a bit of experience dancing (long ago…). But he told me rather sternly that I wouldn’t get first pick on the Bounty Hunters anthology. Fortunately, I had a great time writing Bossk. You said that writing for Star Wars was a bright spot during a dark time in your life. I fully understand it if you don’t want to talk about the negative part, but I would like to ask what made writing for Star Wars so bright for you. The exciting story lines – the smart, creative people I worked with – the chance to contribute something that would be read and remembered, at least for a few years. And I really did love the Galaxy Far, Far Away. I love the “space opera” genre and have written my own five-book space opera series, starting with Firebird. Most of your Star Wars work was in the period 1993-1996. Five years later you returned to write Balance Point for the New Jedi Order series. What made you leave in 1996… and what made you return in 2001? Back in the 1990s, the Star Wars novels were being written by invitation (they might still be; I don’t know). It was an honor and a privilege to be asked. I also was asked to write for the Adventure Journal, but sadly, they stopped publishing. And my personal life got pretty complicated in the late 1990s, so I focused on other projects. In 2001, once again I received an invitation to write a Star Wars novel—from Shelly Shapiro at Del Rey Books, this time (shout out to Shelly!). Once again I was delighted and deeply honored. When you returned for Balance Point in 2001 the Star Wars universe had changed a lot since you left it in 1996. How did you prepare for this novel? Since it was part of a series, did you read the previous New Jedi Order novels? I definitely had catching up to do! By 2001, the Star Wars Role-Playing Game had become a major part of Star Wars fandom, and the good people at Del Rey sent me a crate of reference materials, sourcebooks, etc. I had the almost-unbelievable privilege of being flown to Skywalker Ranch for a planning session (at which I mostly sat quietly, since I had just been brought on board!). Those of us working on New Jedi Order novels cooperated closely with the authors whose novels came just before or just after ours. I had the privilege of reading several New Jedi Order novels in manuscript form, so I would be able to pick up the story right where the previous authors left it. I was expected to do the same thing, and I provided manuscripts to those who came after! Kudos to Del Rey and Lucasfilm for coordinating a series with such a rapid succession of release dates. Maybe it sounds a little cliché, but I really enjoyed writing about Luke Skywalker. He was so endearingly earnest, so determined to do the right thing no matter what it cost him. So horrified to learn he was descended from evil (since I’m a Christian, this speaks loudly to me about our fallen nature and our need for redemption!). He truly loved his friends, and he gave his all to his cause. The most delightful compliment I was ever paid, regarding my Star Wars novels, came from people at Lucasfilm who told me that I “really got Luke.” Wow. I liked Gaeriel. Like me, she’s a woman of faith—and she struggles with what that will mean in her life. I wasn’t allowed to let her return Luke’s affection (Tim Zahn had already created Mara Jade! ), but at least I could show this earnest young man struggling with his own highest priorities. Showing each of them walk away from a potential relationship because each one felt a higher calling… that was important to me. Those of us writing the EU were always told, all along, from the very beginning (have I stressed that strongly enough? ), “Only the Movies are Canon.” Sure, it was disappointing. And I hope the EU books aren’t all taken out of print, because many of them are outstanding explorations of all that Star Wars means to the fans. And fun to read, besides! I agree. To be honest, I think the old EU is far, far superior to the new canon! You have a degree in Christianity and the Arts and you taught a Sunday school course about The Lord of the Rings. Suppose you would do that about Star Wars…. what would you talk about? Lord of the Rings was written by a devout Catholic who had a great deal to say about friendship, sacrifice, loss, and loyalty—from an understanding of the human metanarrative that was grounded in God’s revealing himself to one nation and then through one Man. Star Wars is grounded in a more universalist worldview, and it addressed many of the same big issues—friendship, sacrifice, loss, loyalty, etc. Although sometimes it shows characters coming up with the same answers (if there really are deep truths, we would expect that! ), sometimes their answers seem quite different from the answers I think Tolkien would have shown. So, I think I would spend time talking about the differences and similarities in the way the different authors’ understanding of truth is SHOWN (another saying among writers is “show me, don’t tell me”—and this is a huge part of the power of story). A friend of mine is a huge Bossk fan and he asked me to ask you this since you wrote Bossk’s backstory: a couple of years after you wrote Bossk’s story for Tales of Jabba’s Palace Bossk’s ship (the Hounds Tooth) was visualized. Was it the way you envisioned the ship? I enjoyed what they did with the Hound’s Tooth. I’m such a strongly character-driven writer that while I can see my characters (and especially listen in on their conversations!) pretty easily, I find that creating the settings, including their ships, requires me to sit down and draw pictures. I love it when people take the ideas that come out in my stories and expand on them.